Hub and I just returned from a wonderful, but brief business trip to Buenos Aires. We went to visit La Casita, a shelter for street children and home to the Argentine boys team for the Street Child World Cup. I've visited two shelters in Rio and I'm always curious to see how the children will behave and receive us. Upon entering the gates of the shelter, we were greeted with hugs and kisses on the cheeks by all the boys. They were very curious and were asking us where were we from, where do we live, do we speak Spanish, was I really married to Hub...It was really sweet. The children were very warm and it was a contrast to the street children I'd met in Rio. The shelter is located just outside Buenos Aires next to a tiny little parish owned by Fr. Elvio Metone, the founder and creator of La Casita. He invested his own money in building it up and that includes a dining room, assembly room, classrooms, dormitories, indoor swimming pool and football pitch. The children had dogs (stray, but hey) and a couple of scary monkeys. It kind of had the feel of a run down summer camp and it's home to about 40 boys, ages 8 to 16, and all street children. 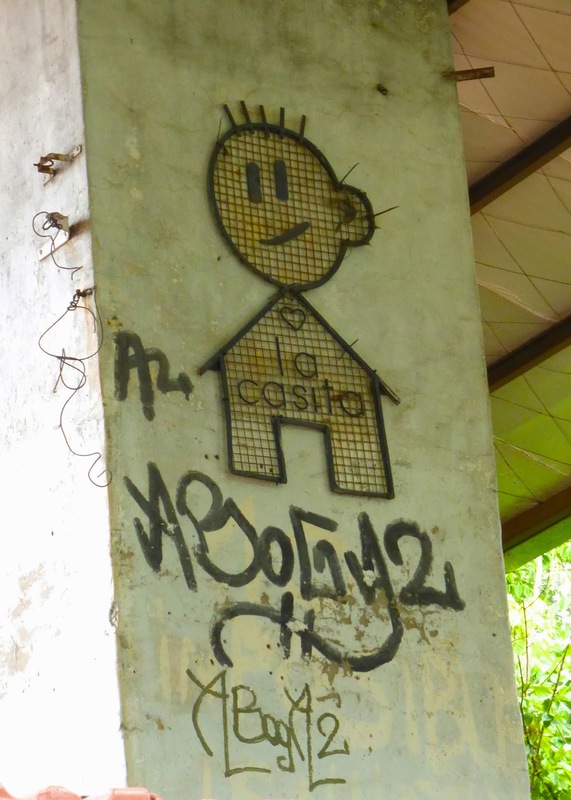 La Casita is an open shelter and the boys can come and go as they please, but most have been referred by court order. The boys were wonderful, but they wear their troubled life on their sleeves. There are psychologists and educators on sight working with the children as well as Esidro, a former street child of La Casita who now dedicates his time to the boys and his former home. I can imagine it's a long recovery process. Most of the kids were tactile and wanted to engage in conversation, but others seemed more aloof or brimming with aggression, which we saw a glimpse of during a friendly football (soccer) match. I asked if the boys ever fight and the directors laughed and were like "oh, si!" In addition to a great foundation, the boys have access to education. Every child receives education and the younger kids are taught in the shelter while the older kids go to the public school in the community. What's fascinating is that Argentina has a scheme where every child is given a computer and several of the boys were running around with their tablets. They love YouTube and Facebook and really wanted to be friends with Hub and I. There's a lot of love at La Casita and the staff are working hard so that when the boys leave the shelter they can create and live a happy life. But like any great small NGO it's a financial struggle to stay afloat. I wish the best for La Casita and I pray that it survives.